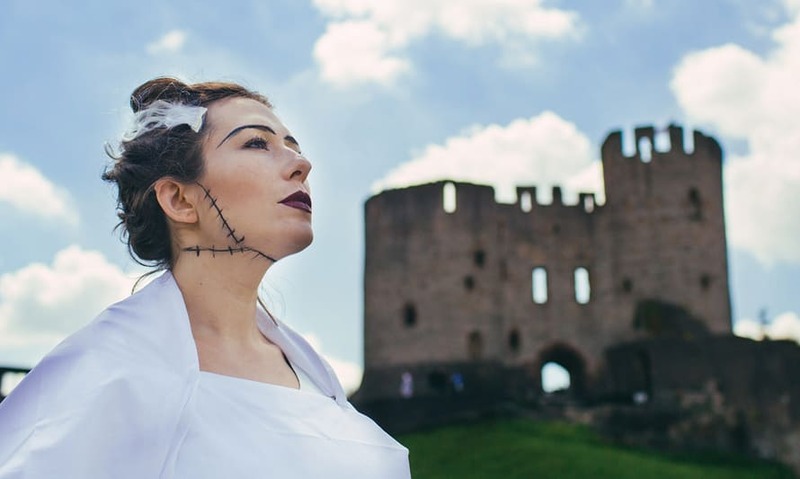 You can't beat a good old-fashioned regional press photocall, and last week we warmed up for Bride of Frankenstein by taking the Bride back to Dudley Castle. Big thanks to Sarah Hamilton Baker for modelling, to Greg Milner for taking the snaps, and to everyone at Dudley Zoological Gardens who have been fantastic to work with. We'd always known about James Whale's Dudley connection, but working on this event it has been great to hear more about those formative years and to find out the important role the place played in his development. The son of a furnaceman and nurse, born in Brewery Street in the shadow of Castle Hill, as a budding artist Whale often spent weekends sketching on the hill or around the woods of Wren's Nest. After experiencing the tail-end of the Somme as an officer he ended up in a prisoner-of-war camp where he discovered a love of theatre. Stints at the Birmingham Rep and in the West End served as a springboard to Hollywood, where he made his name as a pioneering horror director. 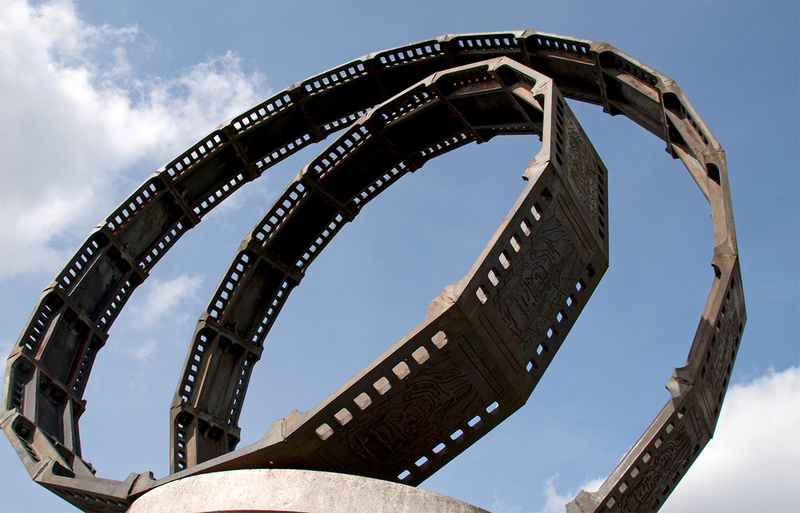 There are few traces of Whale in Dudley today, barring a commemorative sculpture outside the Showcase cinema. We hope that he'd approve of Bride of Frankenstein making the journey back to Castle Hill, if only for one night. If you're interested in reading more about James Whale, James Curtis' biography is worth a look.